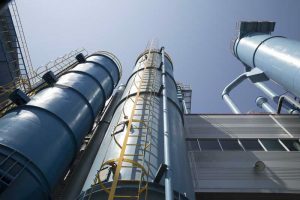 Replacement Dust Collector Filters - Industrial Dust Collector Systems | Air Purification Inc.
Air contamination in the workplace can be dangerous on many levels. First, free-floating particles can make an area prone to explosions and other fire hazards with as little as a simple spark to set them off. Second, those particles could be damaging to internal organs if they are breathed in, and even when they aren’t life-threatening, they can still be a distracting irritant. Finally, many dust particles can be corrosive or can just clog up machinery, which can damage equipment and products. With over 236 years of accumulated experience at Air Purification Inc., we can help you choose the best filters to help provide adequate protection for your workers and equipment. There should always be an air filtration system in place reduce the risk of the dangers presented by dust particles. While air purification is always necessary, it takes many forms that can be helpful depending on what is being filtered out. There are two important types of filters that are used for dust. HEPA Filters: A high-efficiency particulate air (HEPA) system is one of the most common types of air filtration systems out there. It makes use of running air through progressively finer layers of fibers. After a few layers, the air is purified and contaminants reach negligible levels. Cartridge Filtration: While HEPA filters are meant to be used on a large scale for clearing out a room, there is also cartridge filtration, which helps filter out particulates in a smaller area. These tend to be cheaper and more easily replaceable than HEPA filters, and they help make the area safe for workers in hazardous conditions. Deciding on which type of dust collection filter can be a daunting task to go at alone. What sets Air Purification Inc. apart from the competition is the fact that we take an active role in helping decide the system that works best for you. We make it standard practice to help make decisions on-site, meaning we will have a first-hand look at what might be the best filter for your needs. We can even go as far as creating a customized filter that can get the job done. No matter what type of filtration system you use, there should always be a minimum standard for dust collection. Filtration systems should always be highly efficient, meaning that for their energy output, they should collect the maximum amount of dust. Furthermore, contaminants should be easy to dispose of after they have been collected. By using these two standards, you will be able to find an air purification system that will remedy any dust problems in your business. All of our products come with money-back guaranteed. Any problem that you encounter with our filters will be our problem, and if you aren’t satisfied, we aren’t satisfied. We pride ourselves on going above and beyond with our customers because we pride ourselves on the highest service standards in the industry.